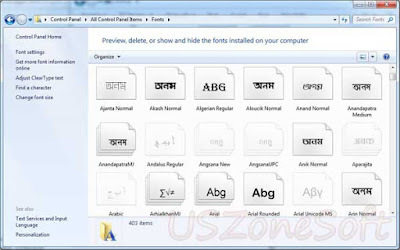 There are many kinds of bangla fonts available to type bangla in Microsoft Word and other typing programs.SutonnyMJ, Champa, Kalpurush or Siyam Rupali fonts are the most favourite.Majority of the users use SutonnyMJ as the default bangla font.SutonnyMJ is also default font for Bijoy Bayanno.Download Sutonnymj and other Bangla Stylish Fonts collection in one zip format as below. bangla font download, free bangla font download, all bangla font download, bijoy bangla font sutonnymj free download, bijoy font, Bijoy bangla all bangla font zip free download, free bangla font download, bijoy bangla font free download for windows 7, bijoy bangla font free download 2010, 2014, bijoy bangla font 2003 free download. SulekhaT, SulekhaT, SulekhaE, SugondhaMJ, SumeshwariMJ, Sunetra, SushreeMJ, SutonnySushreeMJ, SutonnySushreeOMJ, SutonnyUniBanglaOMJ, TangonMJ, tahoma, TangonMJ, TangonMotaMJ, Taposhi, TeeshtaMJ, TonnyMJ, TonnySushreeMJ, Tonushree, TuragMJ, TURAGOMJ, TuragSushreeMJ, UrmeeMJ, Shonarbangla, ShaldaMJ, SamakalMJ, RupshaMJ, RuposreeMJ, RinkiySushreeMJ, RinkiyMJ, RatoolMJ, PunorvabaMJ, PoshurOMJ, PinkiyMJ, PandulipiMJ, PadmaMJ, NorsundaMJ, NobogongaMJ, MonooMJ, MohanondaMJ, AnandapatraMJ, ArhialkhanMJ, BhagirathiMJ, BhairabMJ, BongshaiMJ, BorakMJ, BorhalMJ, BrahmaputraMJ, BurigangaMJ, ChandrabatiMJ, ChandrabatiSushreeMJ, ChaturangaMJ, ChitraMJ, ChondanaMJ, DhakarchithiMJ, DhanshirhiMJ, DholeshwariMJ, DhonooMJ, DhorolaMJ, GangaMJ, GangaOMJ, GangaSagarMJ, GhorautraMJ, GoomtiMJ, GoraiMJ, HaldaMJ, HooglyMJ, JomunaMJ, JugantorMJ, KalindiMJ, KanchanMJ, KarnaphuliMJ, KeertankhulaMJ, KhooaiMatraMJ, KhooaiMJ, KirtinashaMJ, KongshoMatraMJ, KongshoMJ, KopotakshaMJ, KorotoaMJ, KushiaraMJ, MahouaMJ, MeghnaMJ, MogrhaMJ, MohanondaMJ, MonooMJ, NobogongaMJ, NorsundaMJ, ParashSushreeMJ, PunorvabaMJ, RinkiySushreeMJ, TuragSushreeMJ, TonnyBanglaMJ, TitashMJ etc. How to install Bangla Fonts in your computer? - Either copy the font file(s) to /Library/Fonts (for all users), or to /Users/Your_username/Library/Fonts (for you only). - You have to convert the font file(s) you have downloaded. Drag the font suitcases into the System folder. The system will propose you to add them to the Fonts folder.